The Proxy Protocol was designed to chain proxies / reverse-proxies without losing the client information. 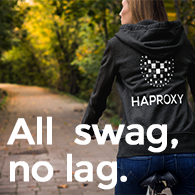 A proxy will use its own IP stack to get connected on remote servers. Because of this, we lose the initial TCP connection information like source and destination IP and port when a proxy in involved in an architecture. The problem of these workarounds is that they are either protocol related or require architecture changes, preventing scalability. it is protocol agnostic (can work with any layer 7 protocols, even when encrypted). The is only one condition: both endpoints of the connection MUST be compatible with proxy protocol. This could be either proxies, reverse-proxies, load-balancers, WAF, application servers, etc…. The description of the protocol by Willy, HAProxy developer: proxy protocol. hitch since the first release, SSL offloader, fork of stud. stud, since the first release, SSL offloader.